Elton John announces his retirement from touring – but not until after his final three year tour! You can’t say he’s not warning us. Elton John just announced his final road gig, the “Farewell Yellow Brick Road” tour, which will span three years. I’m not sure but think that is longer than Cher’s first final tour more than a decade ago. But great to know so we can see him live one more time. I’ve never been disappointed with an Elton John concert – spot many hits and the voice still sounds so good. 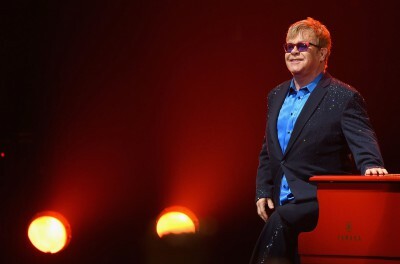 Elton will play 300 shows across five continents. The tour will start in the U.S. on September 8, 2018 and reach Europe in April 2019. He then heads to Asia in November 2019, Australia in December 2019, and South America in March 2020. “Yellow Brick Road” will then return to Europe and the U.K. in late 2020, and finish up in North America in 2021. Tickets for the tour will go on sale to the general public on Friday, February 2. American Express card members can purchase via a special presale starting tomorrow. “Farewell Yellow Brick Road” kicks off in Allentown, Pennsylvania. Find all available tour dates at eltonjohn.com. I’ve been to many concerts over the years. 40 years ago I saw Elton here in Chicago when he was at the peak of his career with hit after rockin’ hit. The man performed for three solid hours without taking a break. The audience was going wild and my friend and I were smoking joints. A favorite night and a moment in time I will never, ever forget. Wednesday Morning Man: Lucas Black!